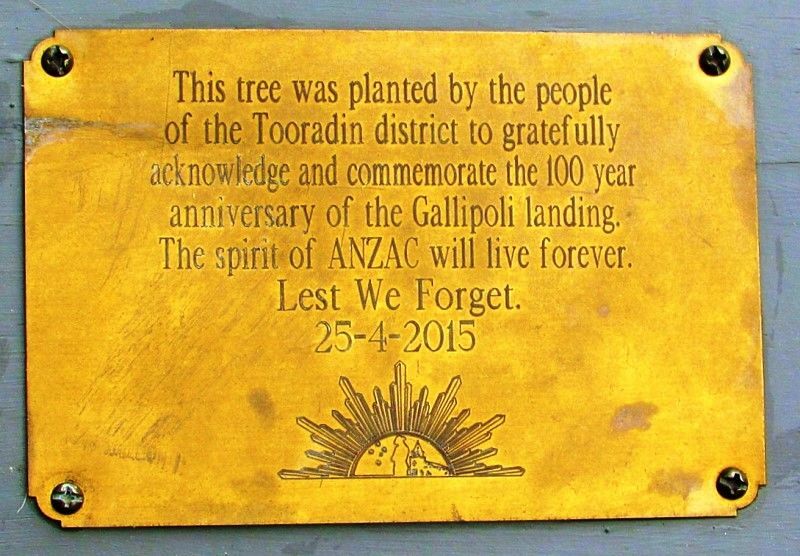 A plaque commemorates the 100th anniversary of the Gallipoli landings which occured in April 1915 during World War One. Note : As at 04-October-2016, it appears that the tree described on the plaque no longer exists. anniversary of the Gallipoli landing. The spirit of ANZAC will live forever.